A US court has hit Teva where it hurts, invalidating four US patents on its latest version of multiple sclerosis drug, Copaxone. Mylan wants to market a cheaper version of Teva’s three-times a week 40mg/ml formulation of Copaxone (glatiramer), which had been propping up sales of the drug after patent expiry on the older, daily formulation. And it looks like Mylan and a group of other generics firms have won the first round in a court battle, after the US District Court in Delaware on Monday issued a decision finding all patents on Copaxone 40mg/ml were invalid due to obviousness. 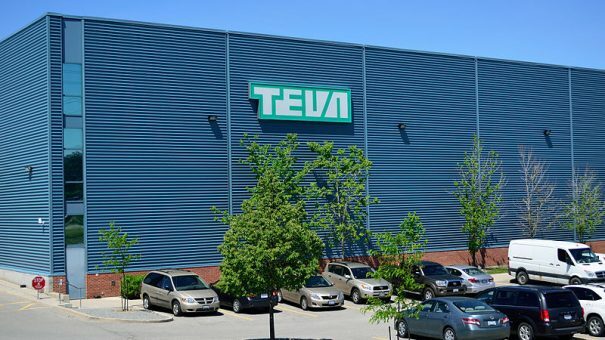 Teva, which has said it plans to appeal the decision, is using the patents to fend off cheaper competition for Copaxone until 2030, and has switched many patients over to the newer, protected formulation. Israel-headquartered Teva has also filed lawsuits seeking to protect Copaxone with two new patents. Shares in Teva slid more than 6% on the New York Stock Exchange in pre-market trading today. Much of Teva’s business is based around generics, but Copaxone is part of a portfolio of branded drugs the firm markets, and is the company’s biggest single revenue generator. In Q3 2016, US revenues were around $874 million, and the three-times weekly formulation alone accounted for a quarter of the US multiple sclerosis market. Outside the US, revenues were $187 million.